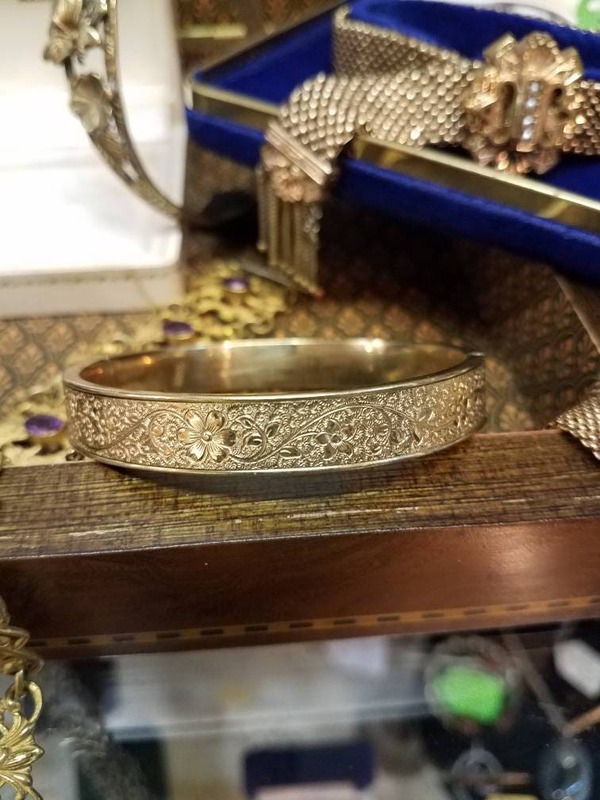 This Victorian gold filled bangle is from the 1890s and is in excellent condition! Intricate flowers run along the entire bangle, with a solid border on the top and bottom of the design. 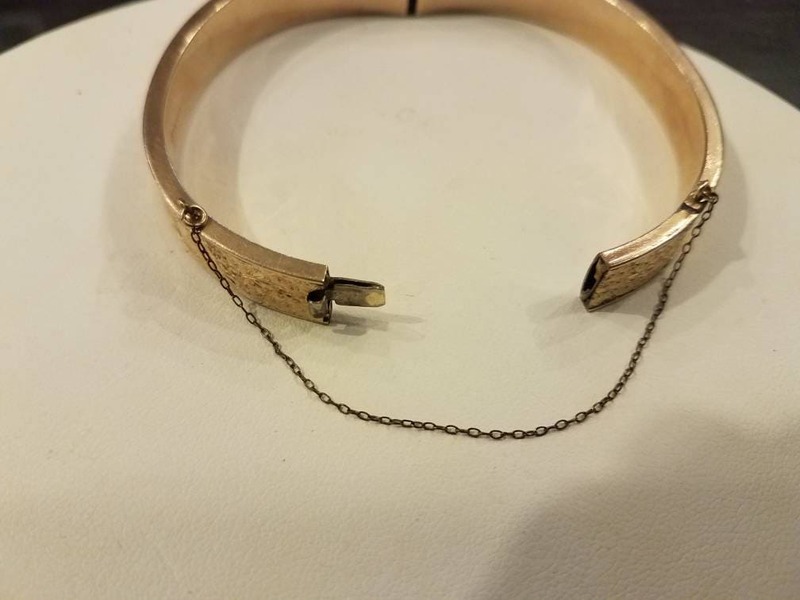 This bangle has a slide clasp and secondary chain, both in perfect working condition. 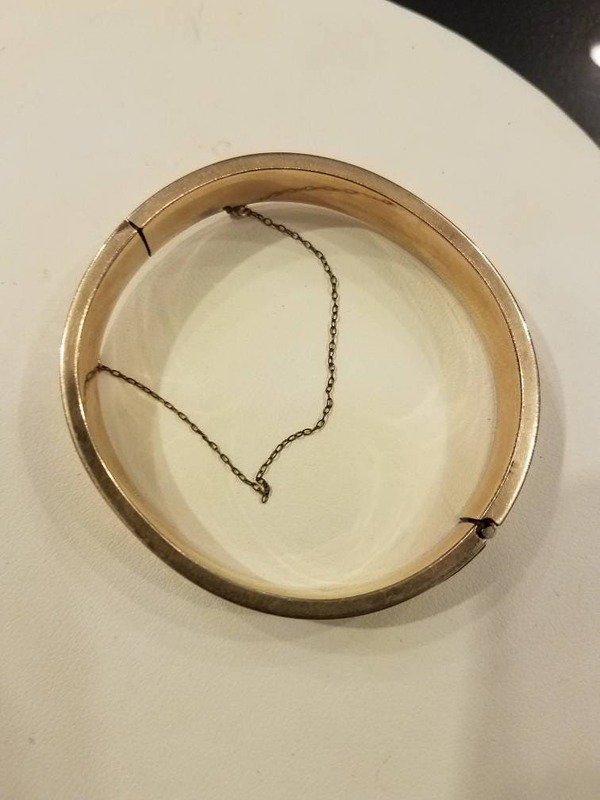 This bangle has a diameter of 2.5 inches, fitting a small to medium wrist.